Internationally renowned author Susan Jeffers has helped millions of people overcome their fears and heal the pain in their lives with her simple but profound advice. Whatever your anxieties, Feel The Fear And Do It Anyway (R) will give you the insight and tools to vastly improve your ability to handle any given situation. You will learn to live your life the way you want - so you can move from a place of pain, paralysis, depression and indecision to one of power, energy, enthusiasm and action. An empowering and life-affirming book, Feel the Fear and Do It Anyway will help you triumph over your fears and move forward with your life. "Packed with insights as to why we feel the way we do and tools to improve your coping mechanisms"
Internationally renowned author Susan Jeffers, Ph.D., has helped millions of people all over the world to overcome their fears and heal the pain in their lives. Her books have been published in over 100 countries and translated into over 36 languages. 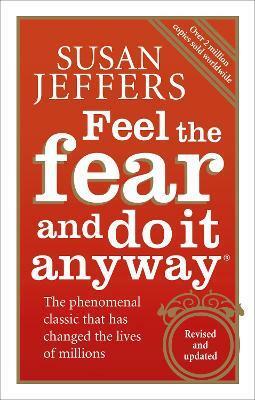 Feel the Fear and Do It Anyway (R) is the book that launched her life-long career as one of the top self-help authors in the world and has sold over two million copies worldwide. For more information visit www.susanjeffers.com.